Caernarfon Castle (Welsh: Castell Caernarfon) is a medieval building in Gwynedd, north-west Wales. 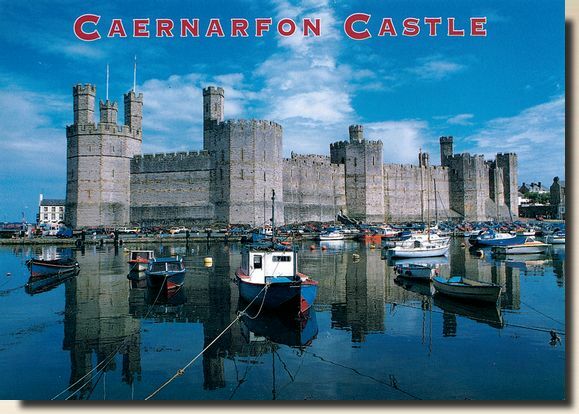 There was a motte-and-bailey castle in the town of Caernarfon from the late 11th century until 1283 when King Edward I of England began replacing it with the current stone structure. The Edwardian town and castle acted as the administrative centre of north Wales and as a result the defences were built on a grand scale. There was a deliberate link with Caernarfon's Roman past “ nearby is the Roman fort of Segontium “ and the castle's walls are reminiscent of the Walls of Constantinople.